The CUI Alumni Association (CUIAA) was established in 1984 to support graduates of Christ College Irvine & Concordia University Irvine, encouraging excellence in our alumni, engagement with our current students, and enhancing the communities we serve. To encourage and promote alumni participation in the Concordia community through service and leadership, and to facilitate the lifelong role each has as stewards of Concordia University Irvine. To facilitate a transformative impact on current & future alumni through the relational, educational, & spiritual bonds forged as students, rooted in the Great Commission of Jesus Christ, by empowering the Eagle Family to remain connected through influential events, networking opportunities, and the legacy of our Alma Mater. Membership in the Concordia University Irvine Alumni Association is free and automatic upon completion of any degree from Christ College Irvine and/or Concordia University Irvine. This membership provides you with the opportunity to serve on the Alumni Board of Directors and voting rights for topics and decisions that affect the entire association. As a professor of trumpet at Nanhai Conservatory of Music, Matthew Busch '12 is educating students in China about the value of western music, and improving artistic standards for orchestral wind instrument music. Scott Esswein ’15 and Ariana Sadeghipour ’17 not only met at CUI, but both served as ASCUI president during their time as students. Rev. Chris Singer ’91, MA ’03, is the recipient of the 2018 Servant Leadership Award, which he will receive at Concordia’s annual Gala of Stars in April 2018. Jessica decided to become a nurse after spending seven weeks in the Newborn Intensive Care Unit (NICU) with her daughter, born at 28 weeks. Both Mark & Kevin are now instructors for the CSADA (California State Athletic Directors Association) conference. Mark was recently named President of the CSADA. He presented Kevin with the Rookie AD of the Year Award. Kevin is the Athletic Director of University High School in Irvine. A marketing, development, and publishing company for the music business who has helped his clients earn seven Latin Grammy awards (among many other things), has recently accepted a position as part-time Program Director at Azusa Pacific University for their new Master's degree in Music Business. He "blames CUI" for his success. Joe caddied for Adam Hadwin at the Valspar Championship in Florida, guiding Hadwin to his first PGA tour victory. On 16, Hadwin lost his tee shot in the water and made double-bogey. Joe kept Hadwin focused. Hadwin gained his confidence back and with a final par, won the Championship. Now just shy of the Top 50 in the world, Hadwin earned a spot in the Masters where Joe will caddie for Hadwin again. Elliott has been a teacher at an elementary school in Watts, CA for nearly a decade – driving 10-12 hours each week to serve these students. She was recently named Los Angeles County Teacher of the Year. Elliott was one of seven teachers from the Los Angeles Unified School District who joined 11 others from across LA County to compete for the 2017 California Teacher of the Year. This dynamic pair of alumni with huge hearts for Christ and the mission of Concordia have served CUI in countless ways. In 2013, Chris joined the Alumni Board of Directors and in 2016 was Board President, leading its officers and directors to "dream big" and continue to support Concordia through time, talents, and treasures; encouraging others to do the same. Katie brought her powerful presence serving as co-chair with her husband for the 2017 Gala of Stars which exceeded expectations of valuable donor support for student scholarships. Her vision, commitment, and humble servant heart was experienced by all at this impactful event. Chris now serves on the Board of Trustees for CUI and continues to "dream big" as Concordia grows while constantly serving The Great Commission of Christ Jesus. Currently a reporter for WMBF News ABC affiliate in Myrtle Beach, South Carolina, Audrey, a Mass Communication Studies major with a minor in Global Cultural Studies and an Around the World II participant, is most comfortable interviewing someone. She believes that "everyone has a voice and deserves their story to be told." Audrey shares that "Concordia taught me what it means to follow your dreams and trust in The Lord with all your heart. I learned what true surrender is in being a faithful servant. That allowed me to feel blessed every single day walking on Concordia's campus and I will always take that with my future endeavors!" Ryan has found his fit as the new Interim Head Swim & Dive Coach at Biola University. Kauth comes to Biola after spending the last three years as an assistant coach at Mater Dei High School in Santa Ana and at Concordia University Irvine. Committed to his gifts, Kauth swam for CUI and was president of SAAC (Student Athlete Advisory Committee) while completing his undergrad in Exercise and Sports Science and then on to complete his Masters in Coaching and Athletic Administration. We love celebrating with our alumni! Share milestones with us: marriage, new additions to your family, latest adventures, mission trips, community involvement, career changes. Many of the updates we receive will be published in our monthly E-agle e-newsletter and some in the Alumni section of CUI Magazine. Nearly 20,000 CCI & CUI Alumni live, work, and serve throughout the world. Network beyond the typical business card trade with CUI Connect! Join today and get instant access to job opportunities, alumni-to-student mentorship program, easy-to-search directory, and so much more! There’s also an app: search “CUI Connect” in Google Play or App Store. The greatest gift you can give is the gift of a future student! Stay up to date on all the latest from your Alma Mater! As a CCI or CUI degree-holder, you are automatically a member of the CUI Alumni Association (CUIAA). This is a free membership with the purpose of encouraging prosperous relationships, participation in events, and engagement with CUI after graduation. As a member of the CUIAA, you get benefits! Save $20 on Your Diploma Frame Order! 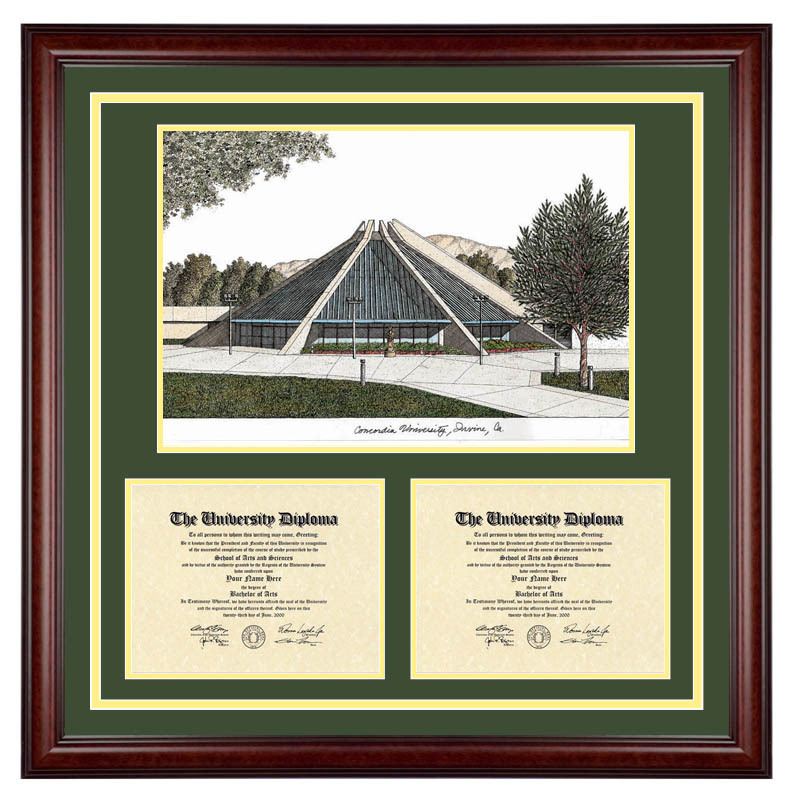 Diploma Artworks is a premiere vendor for your diploma frame, offering a unique design with a hand-drawn image of the CU Center and custom mat and framing options. All frames are handmade in Costa Mesa, CA using matboards made of substrates that have been chemically treated to eliminate the acids and lignins that can degrade the matboard, the artwork, and your diploma. Diploma Artworks has been in business since 1982 and prides themselves on customer service. They also offer a 30-day return policy and 100% satisfaction guarantee. They are also able to ship anywhere in the US. Use code cualumni for $20 off your order, in store or online. All members of our Eagle Family can access Orlando Employee Discounts, offering Exclusive Pricing on Hotels & Vacation Homes in or nearby Disney World and Universal Studios Orlando. As the Largest Wholesaler of Tickets for Disney World, Universal Studios Orlando, Sea World, and ALL Orlando Area Theme Parks and Attractions, you'll have more fun while saving big bucks! Save money on entertainment, travel, shopping, and more! 2. 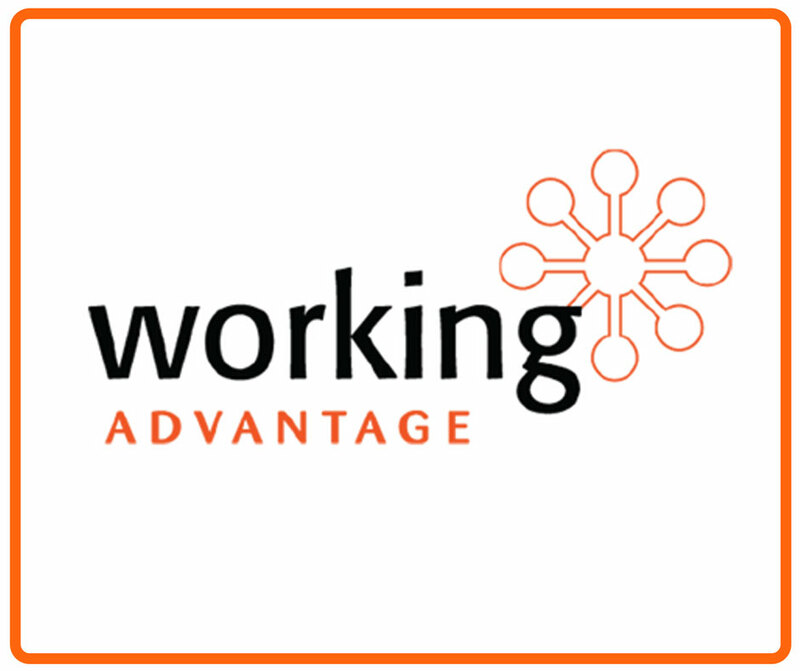 Go to www.workingadvantage.com and register with your information and CUI’s ID. 3. You’re in! Purchase discount tickets & items online or by phone at 1-800-565-3712 (Mon-Fri 9:00 am – 6:00 pm EST, Sat 9:00 am – 5:00 pm EST). 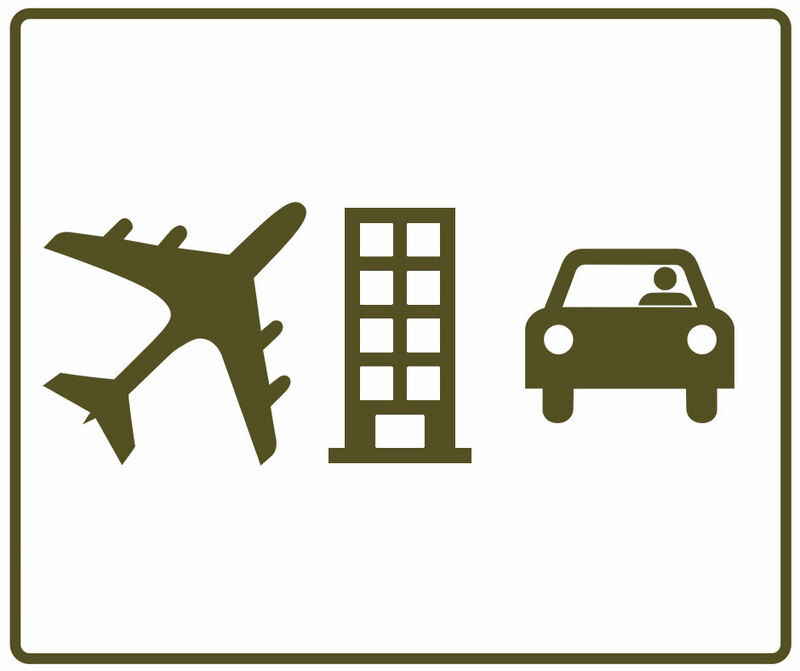 Exclusive discounts on major hotel chains and auto rentals! Book everything online or with a specific 800-number. Want a discount card to access these benefits when away from a computer? Just email us at alumni@cui.edu to request it! 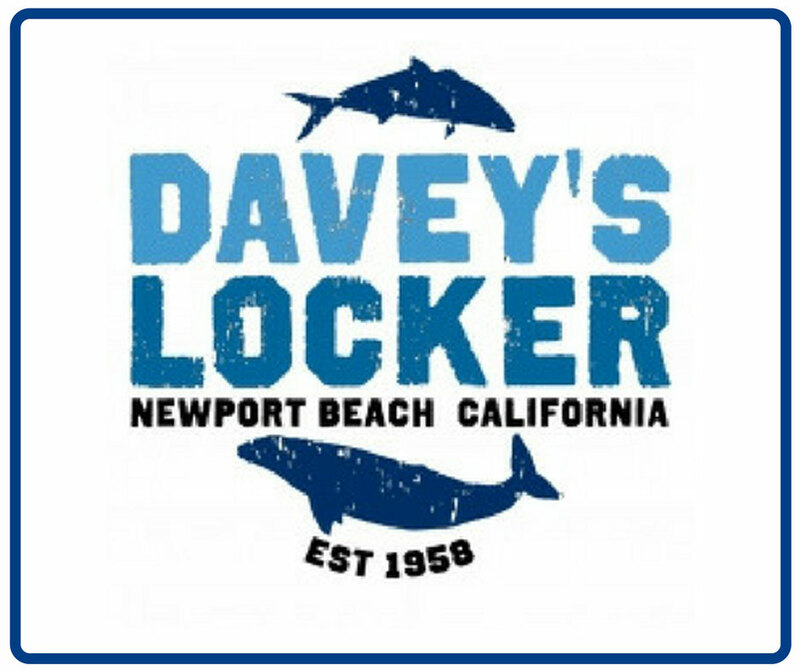 Have fun with friends & family whale watching in Newport Beach! Email us at alumni@cui.edu to get your code for 50% off! Surrender to an age of bravery and honor and witness epic battles of steel and steed during the ALL-NEW SHOW. From ringside seats, discover a feast of the eyes and appetite with more action, more fun & more excitement than ever before. 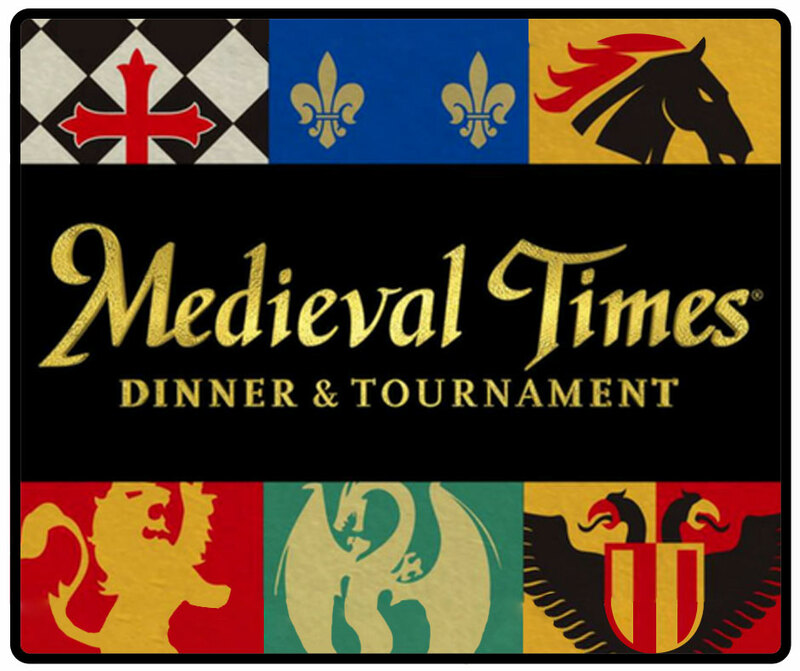 Experience a thrilling live jousting tournament and sword-to-sword combat! Plus marvel at awe-inspiring horsemanship and falconry, as you feast on a four-course banquet fit for royalty. Members of the Concordia family qualify for either a $2,500 or $1,500 credit when you finance or lease through BMW Financial Services. PLUS: CUI Alumni Association members qualify for College Graduate Program, offering up to a $1,500 rebate! Qualifications apply. Ready for a beautiful new BMW? 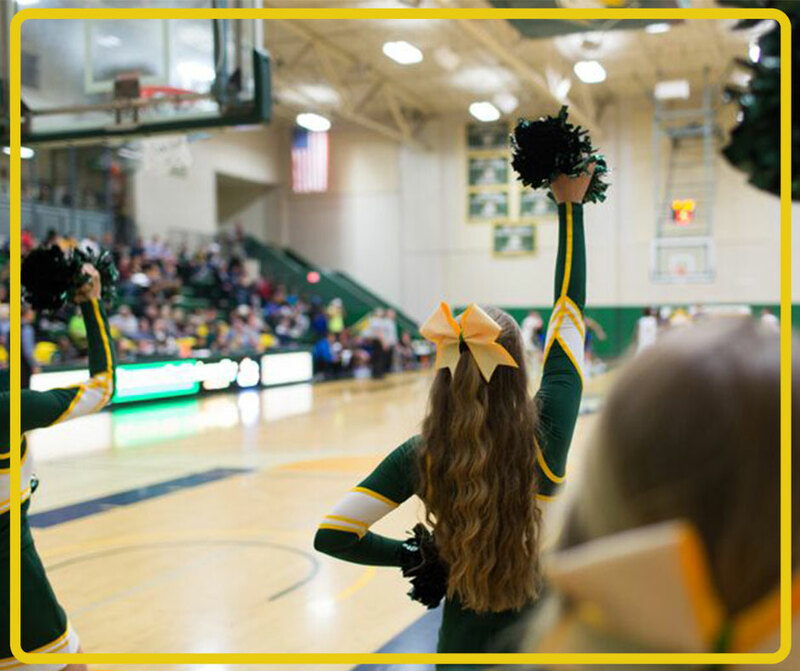 Email us at alumni@cui.edu to request proof of membership. 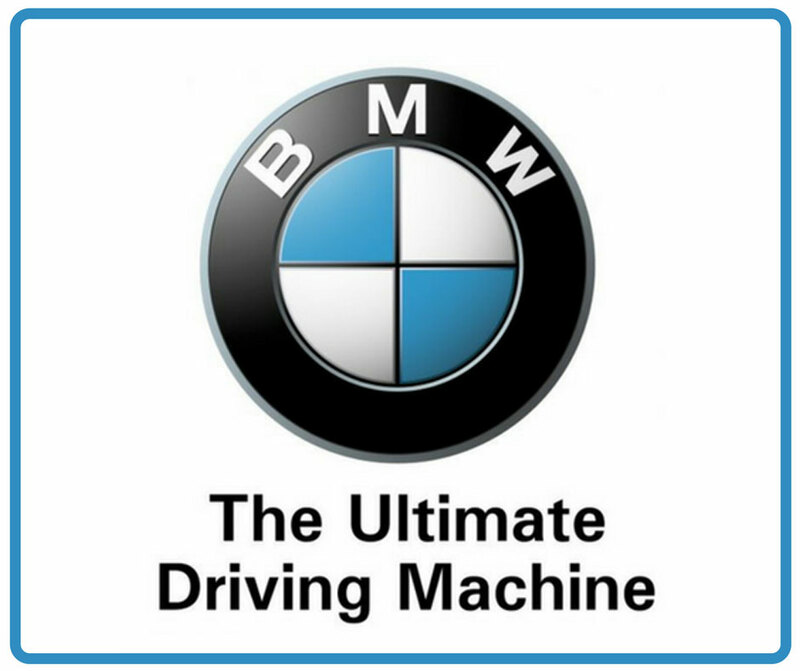 Check out the selection at www.bmwofescondido.com. Plus: California Pizza Kitchen, Chronic Tacos, Focal Instincts Photography, Peet's Coffee & Tea, Donut Star, and Kingdom Nutrition. Purchase your Eagle Discount Card below. Cards will be mailed within 2 weeks of receipt of payment. Sales benefit Student Athlete programs.